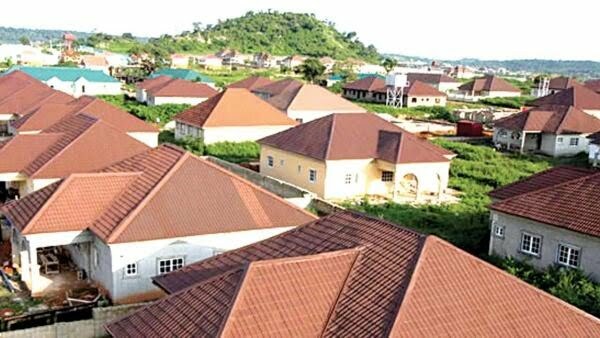 The Minister of Power, Works and Housing, Babatunde Fashola, has urged the Federal Housing Authority (FHA), to replicate the opportunities of its “housing ecosystem” across the country. Fashola made the call on Tuesday in Abuja during the formal presentation of the annual report of the current Board of Directors of FHA by its Chairman, Sen. Lawal Shuaibu, to the minister. He said that he was impressed by the wealth and job creation given by the 764 housing units project in Zuba, FCT, Abuja, which employed more than 10,000 people including artisans in housing value chain. This he said had attacked the social issues of social exclusion, joblessness and unemployment, thereby adding dignity to humanity. “Apart from other housing sites that I visited recently, I am particularly delighted with what I saw at the FHA Mass Housing project in Zuba, FCT, Abuja, during my recent inspection. “Not only do they conform with the policies set out in the ministry regarding building for the low and medium income earners and young generation of Nigerians. “The “housing ecosystem” of the opportunities there is something I challenge the FHA management to replicate across the country,’’ Fashola said. The minister, however, lauded the board of directors of on its accountability and doggedness in housing provision, adding that it portrayed strong validation of commitment of President Muhammadu Buhari’s administration to accountability. He said that the ministry would escalate not only the reports but its salient points to the President for further consideration. According to him, as a ministry, documenting and submitting what it has done in the last three and half years in the formal way with cogent policies will benefit the public. “I hope that all other parastatals in our ministry will also submit reports to take this up as a challenge. It is also important that this becomes our DNA. He urged the FHA management to replicate the ecosystem of the housing opportunities at the its Zuba Mass Housing project site to call on parastatal agencies under the ministry to ensure accountability in the discharge of their responsibilities. Shuaibu said that the report aimed at highlighting the efforts made by the board in the first year towards injecting new ideas and designing strategies for improved governance and service delivery in the agency. He said the the report which was structured in four sections for easy reference had first and second sections meant to establish a strong premise upon which far reaching decisions and steps were taken or arrived at. “Details of those positions and line of actions were the contents of section three and four of the report,” he added. He said the historical antecedents and continuous happenings in the agency for the past 40 years would lead the minister reading the report to arriving at the same conclusion with the board that the FHA could have done much better for Nigerians in housing delivery. He said that it was rather embarrassing to document that the annual average of FHA production over the years was never more than 1000 housing units prior to the administration of President Muhammadu Buhari. Shuaibu added that previous policy summersault, deficient operational capacity and incessant precarious funding obstacles were identified by the board as the major impediment towards full actualisation of the FHA mandate. “The board has therefore, seized the prevailing opportunity to begin to help this important government agency towards retracing its steps and focus not only on providing housing. “But also to adjust the housing and construction industry in contributing to the development of a robust national economy through job creation, extractive industry related to building materials and the housing chain,’’ he said. The board chairman said that short and long term strategies were now put in place towards the realisation of aforementioned tasks. These he said included actions for strengthening both the institutional and operational basis of its service delivery as well as project funding and sound management of entire assets of FHA.